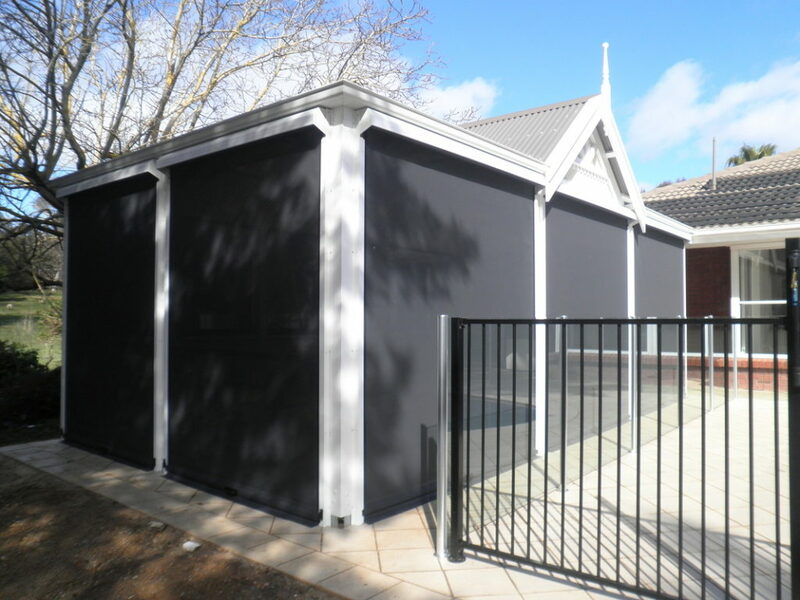 Install outdoor Ziptrak® blinds from classic roller shutters and blinds. 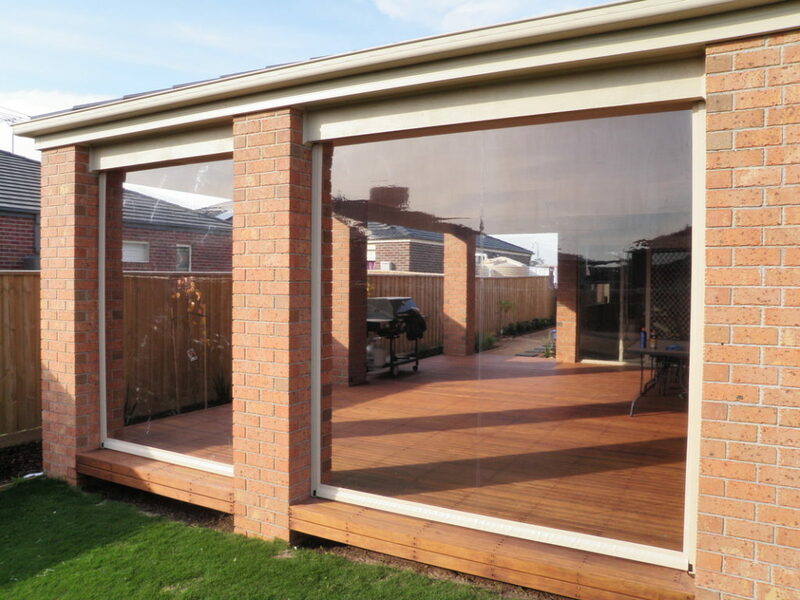 Enclose your outdoor space and enjoy your outdoor lifestyle in all seasons with a Ziptrak® blinds. 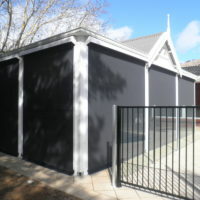 Available in a full range of colour mesh’s and in clear and tinted PVC. 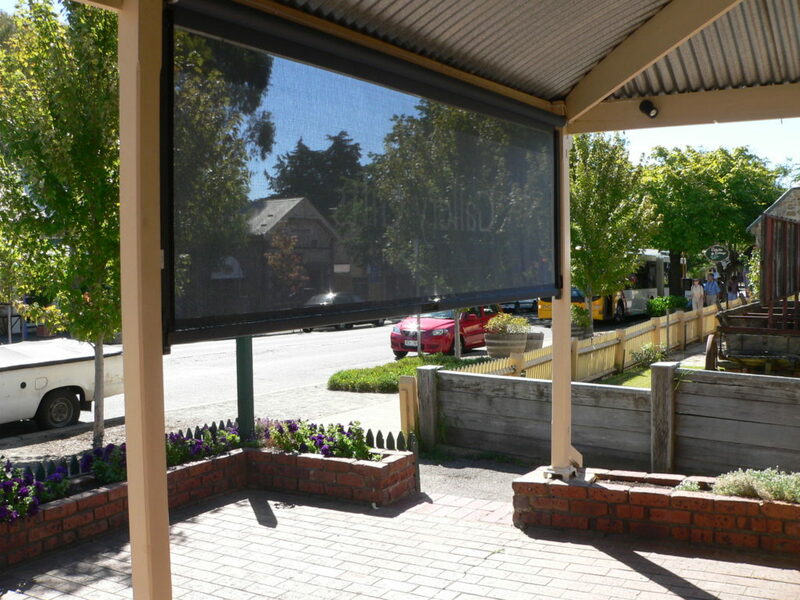 With the screen height being adjustable you can control the amount of light and breeze you are wanting to come through to your outdoor area. 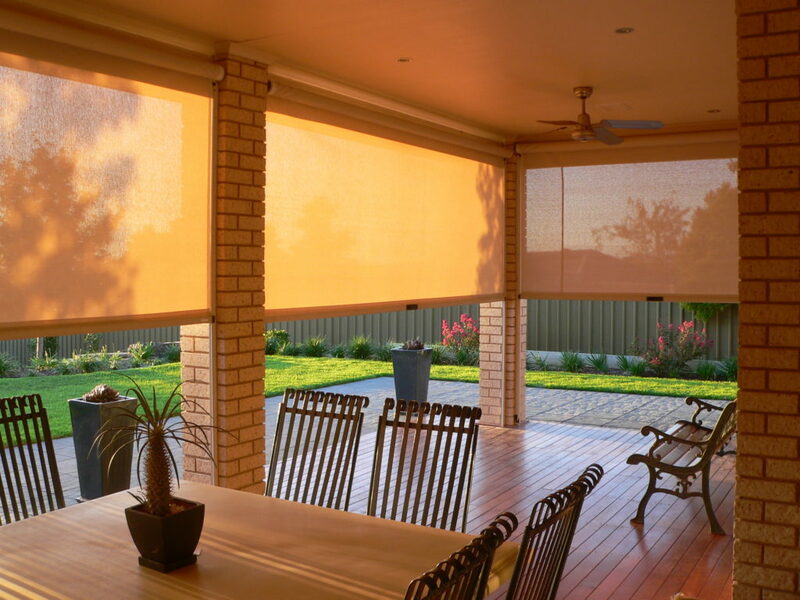 Entertain your family and friends all year round and enjoy dining and entertaining in the cover of your Ziptrak® blinds. 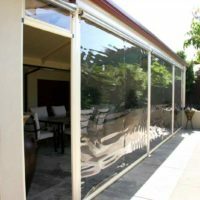 Choose from a clear or tinted PVC fabric where you will really keep in the warmth during those cold winter months and keep the breeze to a minimum or choose from a large range of mesh fabrics with different block outs so you can choose the UV block out and sun filtration that comes through your blinds. With a guided track system, your fabric is held in place securely and can be adjusted as required and with a maximum width span of 5000mm. With a choice of control options, you can make your blinds open and close in one of two ways. 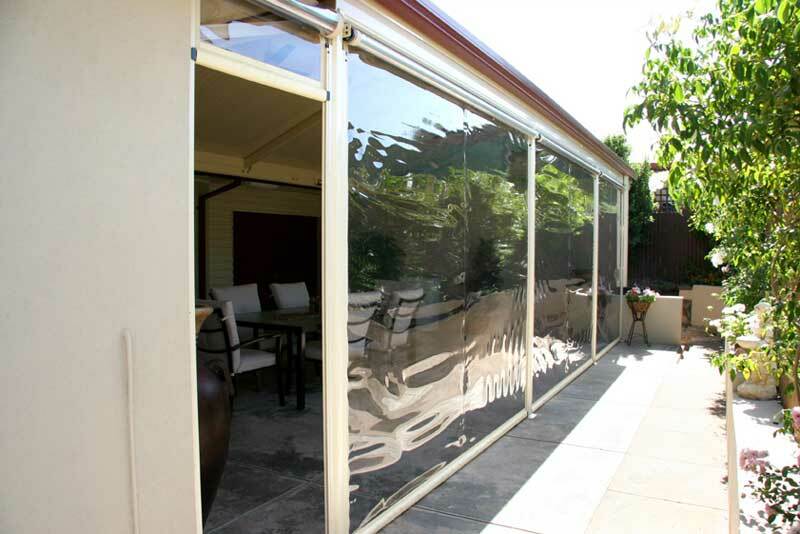 They can be manual operated via a locking bottom bar where you are also able to have a handle of the reverse side of the blind for easy opening and closing access from both sides of the blind. Or alternatively, you can have your blinds motorised, a wireless and hard wired electric operated system via either a remote control or a wall mounted toggle switch or via a wall mounted control unit, it’s your choice. 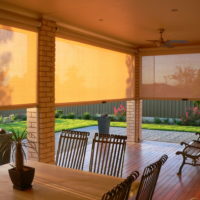 These blinds come with many extras, some of which may be required or you may opt for at install to make sure your blinds function and perform as needed, such as fixed posts, or if you are wanting to have the area completely open with no post or obstructions in the way go with the removable post, and other extras are there just to make the use of your blinds that much easier. There are reverse locking handles, locking clips to ensure the blind stays open at the exact height you require, pull down stick, great if your blind is especially high and just out of reach. 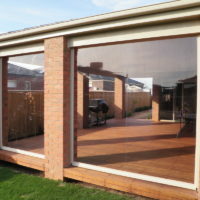 The blinds and components are available in a variety of popular colours and sure to suit and blend with any home and outdoor décor. 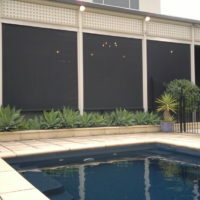 Ziptrak® blinds are made here in Adelaide and are Ideal for outdoor areas in your home, restaurants or patios. Operating via spring loaded can be unconventional and time consuming, that’s where Ziptrak® blinds comes in, the guide system has no ropes, no zips and no buckles which all means no FUSS. Its unique slotted side track between which the blind glides smoothly and easily up and down and stops where you want it makes it so easy to use. This is where Ziptrak® blinds are set apart from any other kind of blind, available in a wide range of fabrics and colors including popular clear and tinted PVC, and various shades of mesh solutions. 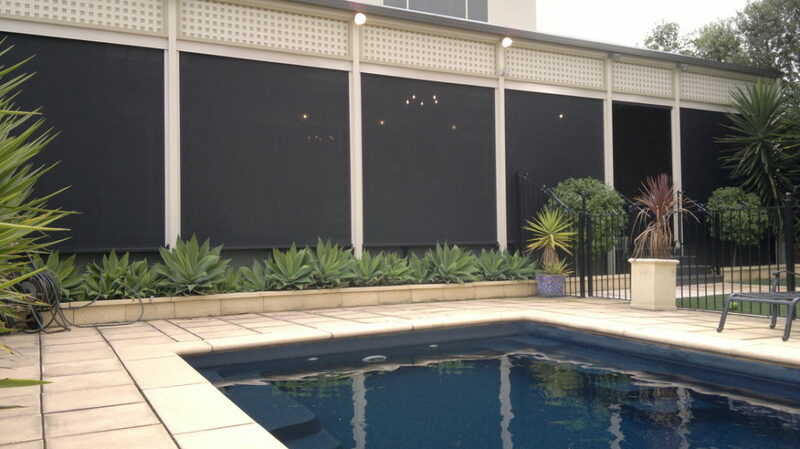 Ziptrak® blinds can be used in multiple areas, providing shelter from the elements and blockout from the UV rays. 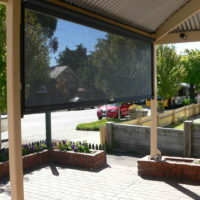 Span widths up to 5 metres manual or motorized.